Leading Manufacturer of wedding wear palazzo salwar suits, party wear palazzo salwar suit, printed palazzo salwar suits, wedding wear palazzo suits, foil printed palazzo salwar suits and cotton printed palazzo salwar suits from Surat. Designer Palazzo Suits Catalog Have UPADA SILK Top With Embroidery Work.Its Comes With SANTOON Bottom and CHINNON SILK Dupatta. Palazzo Suits Catalog Have ORGANZA Fabric With Embroidery Work Top.Its Comes With GEORGETTE Bottom and CHINNON Dupatta. 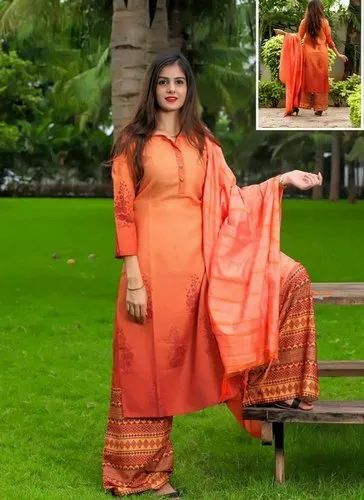 Latest Designs Palazzo Suits Catalog Have JAM COTTON SILK Fabric With Foil Printed Work Top.Its Comes With COTTON Bottom and MALMAL COTTON Dupatta. Palazzo Suits Catalog Have GEORGETTE SATIN Fabric With Embroidery Work Top.Its Comes With SANTOON Bottom and JACQUARD Dupatta. Palazzo Salwar Suits Catalog Have JAM COTTON Fabric With Foil Printed Work Top.Its Comes With COTTON Bottom and CHIFFON Dupatta. Palazzo Salwar Suits Catalog Have COTTON SATIN Fabric With Digital Printed Work Top.Its Comes With COTTON SATIN Bottom and BEMBERG CHIFFON Dupatta. Palazzo Salwar Suits Catalog Have GEORGETTE Fabric With Embroidery Work Top.Its Comes With SANTOON Bottom and GEORGETTE Dupatta. Palazzo Suits Catalog Have JAM SILK Fabric With Embroidery Work Top.Its Comes With SEMI LAWN Bottom and BANARASI JACQUARD Dupatta. Palazzo Salwr Suits Catalog Have Cambric Cotton Fabric With Printed Work Top.Its Comes With LAWN Bottom and CHIFFON Dupatta. Palazzo Suits Catalog Have COTTON Fabric With Digital Prints Work Top.Its Comes With RAYON Bottom and CHANDERI Dupatta. Palazzo Suits Catalog Have PURE JAM COTTON Fabric With Printed Work Top.Its Comes With SEMI LAWN Bottom and NAZNEEN Dupatta. Palazzo Suits Catalog Have CAMBRIC COTTON Fabric With Printed Work Top.Its Comes With SEMI LAWN Bottom and NAZNEEN Dupatta. Wedding Wear Palazzo Suits Catalog Have UPADA SILK Fabric With Hand Work Top.Its Comes With GEORGETTE Bottom and CHINNON Dupatta. Ayesha TAkia Specal palazzo Suits Catalog Have BANARASI JACQUARD Fabric With Embroidery Work Top.Its Comes With SANTOON Bottom and GEORGETTE Dupatta. Palazzo Suits Catalog Have BANARASI SILK Fabric With Embroidery Work Top.Its Comes With SANTOON Bottom and BANARASI VISCOSE Dupatta. Palazzo Suits Catalog Have GEORGETTE SATIN Fabric With Embroidery Work Top.Its Comes With GEORGETTE Bottom and NAZNEEN Dupatta. Palazzo Suits Catalog Have PURE COTTON Fabric With DIGITAL PRINTED Work Top.Its Comes With COTTON Bottom and MALMAL Dupatta. Palazzo Suits Catalog Have JAM COTTON SATIN Fabric With DIGITAL PRINTS Work Top.Its Comes With COTTON Bottom and CHIFFON Dupatta. Palazzo Salwar Suits Catalog Have GEORGETTE Fabric With Digital Printed Work Top.Its Comes With GEORGETTE Bottom and NAZNEEN Dupatta. Palazzo Suits Catalog Have GEORGETTE SATIN Fabric With Embroidery Work Top.Its Comes With SANTOON Bottom and BANARASI SILK Dupatta. 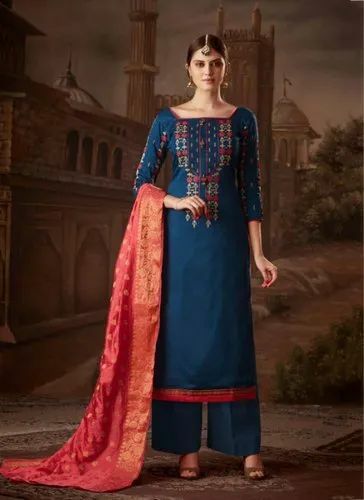 Latest Designs Palazzo Suits Catalog Have JAM SATIN Fabric With Embroidery Work Top.Its Comes With CAMBRIC COTTON Bottom and CHIFFON Dupatta. Pakistani Style Suits Catalog Have NET Fabric With Embroidery Work Top.Its Comes With SATIN RAW SILK Bottom and NET Dupatta. Palazzo Suits Catalog Have GEORGETTE Fabric With Embroidery Work Top.Its Comes With GEORGETTE Bottom and CHIFFON Dupatta.